Check out mymusicfix's next newsletter on February 13 to see our next Book Mark This section to see which LPs will no longer be available in the vinyl market. This 180 Gram Limited Edition 8 LP Set includes a 40 page book and 56 unreleased or unavailable recordings of rare alternate master tracks of classics including: "Purple Haze," "Hey Joe" and "Little Wing." This Box Set also includes newly discovered songs which have never before appeared on any Hendrix Album, including live performances from Maui, Monterey, Paris, Stockholm, L.A., and the Isle of Wright. Each 180 gram LP is packaged in a unique color jacket showing rare photos and track listings. 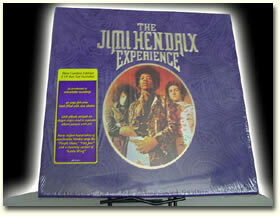 This Hendrix 8 LP Set will be selling for $250 or more within a year in the collectors market. Don't miss out on this rare 8 LP heavy vinyl factory sealed set before it is too late! Perhaps the greatest band of all time, The Rolling Stones 180 Gram Pressings will soon be unattainable in the vinyl market. 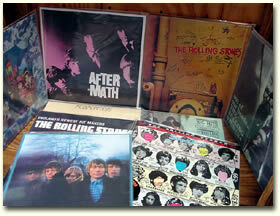 Titles such as "Aftermath," "Beggars Banquet," "Between The Buttons," "Big Hits," "England Newest Hit Makers," "Exile On Main Street," "Get Yer Ya Yas Out," "Hot Rocks," "Let It Bleed," "Metamorphosis," "Out Of Our Heads," "Satanic Majesties Quest," "Some Girls," "Sticky Fingers," and "The Rolling Stones." All of the following LPs are also available in 180 Gram Pressings. 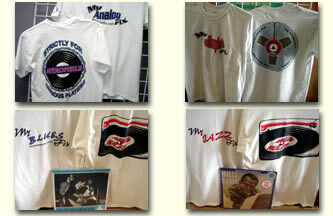 Go to mymusicfix.com and type in any artist in our search to see all available pressings. A jam band of another order fueled by Latin rhythms, blues, beebop, and straight forward rock. Having set the audience at the 1969 Woodstock Festival on its collective ear, the band did the same for the nation with its self-titled debut released later than summer. Songs such as "Evil Ways," "Jingo," and "Soul Sacrifice," contain extraordinary ensemble playing powered by congas and timbales and topped by the gripping cry of Carlos Santana's guitar. A rock classic cover to cover!! Also available in both 125 and 180 Gram Pressings at mymusicfix are "Abraxas," and "Welcome." 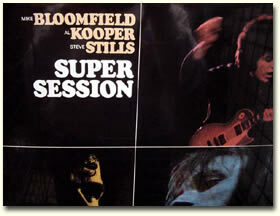 $9.99 MIKE BLOOMFIELD, AL KOOPER, STEVEN STILLS, "SUPPER SESSION." Truly a band that embodies the words super group, Supper Session features some of the most influential musicians of the last 35 years. Side one features Mike Bloomfield ripping on his Gibson guitar laying down some of the most prolific instrumentals you have ever heard with the accompaniment of Al Kooper. The second side features Steven Stills on guitar, and again accompanied by Al Kooper, in which they do an eleven-minute rendition of "Season Of The Witch." It will simply blow you away. 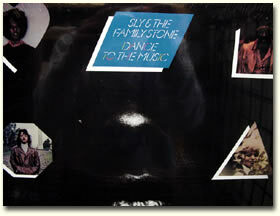 $9.99 SLY & THE FAMILY STONE, "DANCE TO THE MUSIC." Surely one of the best Sly & The Family Stone albums ever released by a group recognized as one of the top 50 rock n roll artists of all time. This album embodies what a cover to cover LP is with every track as a stomping, funk masterpiece. The unbelievably timeless, uplifting funk party song, "Dance To The Medley" alone makes the album essential. Also available in both 125 and 180 Gram Pressings at mymusicfix are "Fresh," "Greatest Hits," "Stand," and "There's A Riot Goin' On." 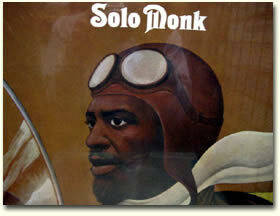 $9.99 THELONIOUS MONK, "SOLO MONK." When the great bandleader and jazz composer Thelonious Monk made this lovely, lightweight solo piano album in late 1964 and early 1965, he unexpectedly turned to standards more than his own twisty, harmonically dense compositions (although there are a couple of those here too, notably "Ruby, My Dear" and "Ask Me Now"). Also available in both 125 and 180 Gram Pressings at mymusicfix are "Criss-Cross," "It's Monk's Time," "Monk," "Monk's Blues," and "Underground." 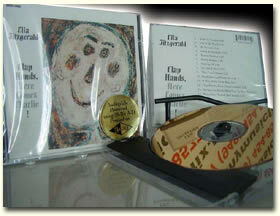 $24.99 ELLA FITZGERLAD, "CLAP HANDS HERE COMES CHARLIE!" This early '60s studio session captures Ella Fitzgerald moving toward the smaller, more pointedly jazz-inflected ensembles that would shape her career in her final decades. After the lush orchestrations of her classic series of composer songbooks, which found her collaborating with the best arrangers, the intimate scale and easy interplay of a crack band provides a wonderful platform for the spirited performances here. 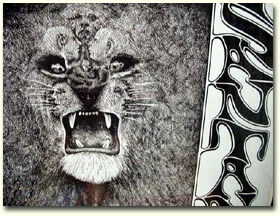 Simply a great piece of work and artistry. 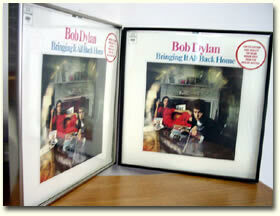 Frame your favorite band or album to display as wall art. Go to mymusicfix.com and pick any album that we offer; the album will come ready to place up on your wall.